Cristina Fernandez-Kirchner, the President of Argentina, started the year in typical fashion by publishing an ‘open letter’ in the Guardian and the Independent, calling for negotiations over the status of the Falkland Islands. The historical account put forward by Argentina differs starkly not only from the one on the Foreign Office website, but also general consensus. Ironically, Argentina itself was settled as an act of Nineteenth Century colonialism. It’s like asking the spanish-descended Argentinians to bugger off home, and leave the indigenous peoples in peace. It is tempting to ask why the Guardian and the Independent published the ‘letter’. 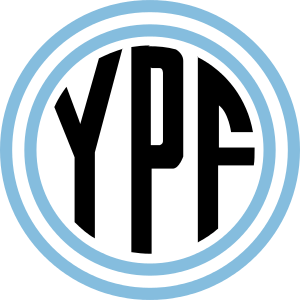 However, they are two of Britain’s more forward-thinking newspapers, and advertising income is advertising income, even if it comes from the Argentine Government. If I was an Argentine citizen, I would be wondering how come my President could find not only the time to worry about publishing an ‘open letter’ in British newspapers, but also how the Argentine Treasury could afford to fund such a grandiose publicity stunt. The British Government, quite rightly, points out that the Falklands is not a colony, and its relationship with the Falkland Islands is by choice of the islanders, not coercion. Therefore, not only is there nothing for the UK Government to negotiate over, but the islanders have a universal human right, enshrined in the very basic UN principles, to determine their own government and sovereignty. So… rioting on the streets and supermarkets being looted; Navy ship seized in a foreign port over unpaid debts; the IMF questioning Argentine honesty regarding financial data; and the possibility of a default over foreign debt… still wondering why Fernandez-Kirchner is trying to divert the attention of her people outside the country’s borders? It’s an ever-present in Argentine politics – when there are problems, the Malvinas issue is dragged out. It’s route one politics and not all that indistinguishable from Galtieri’s methodology in 1982. If you had to pick five iconic images that came out of the 1982 Falklands War, the sinking of HMS Antelope in San Carlos Water. HMS Antelope was a Type 21 ‘A’ Class Frigate. Ordered to fill a gap for a cheap, expendable patrol frigate, the Type 21’s were designed jointly by Yarrow and Vosper Thorneycroft, and hence they had ‘yacht’ like lines. Commissioned in 1975, she was the only ship in her class not to be fitted with Exocet missile launchers. 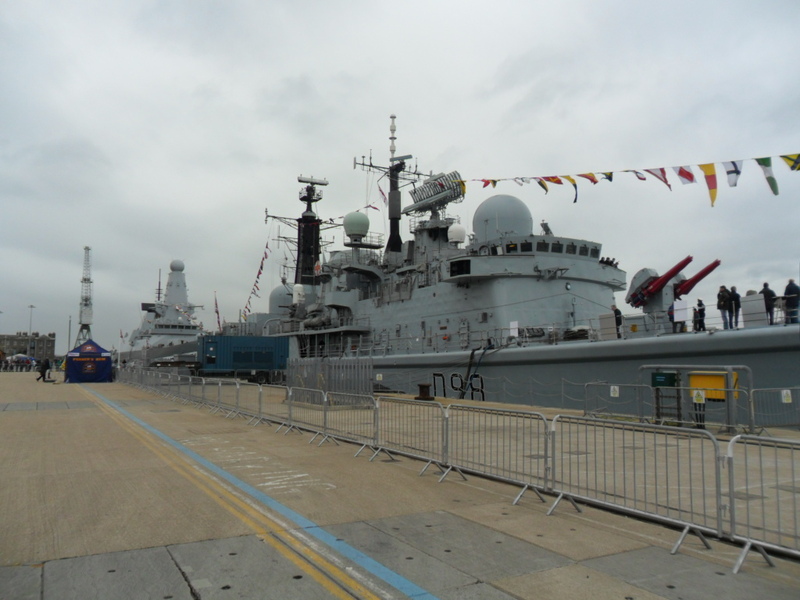 Their performance and accomodation was reportedly good compared to other contemporary British warships. Antelope only arrived in the Falklands theatre on 21 May 1982. After the loss of her sister ship HMS Ardent, she was positioned to perform air defence duty at the entrance of San Carlos Water from Falkland Sound. On 23 May she was attacked by four Argentine Skyhawks in two waves. The second aircraft managed to put a 1,000lb bomb into Antelopes starboard side, killing one crewman. The bomb did not explode and the Skyhawk was shot down by small arms fire from Antelope’s upper deck. The second wave of Skyhawks attacked soon after. One of the attacking aircraft was shot down by Antelope’s 2omm cannon, and crashed through the ships mainmast. Although the pilot was killed, one of his bombs pierced the ship without exploding. 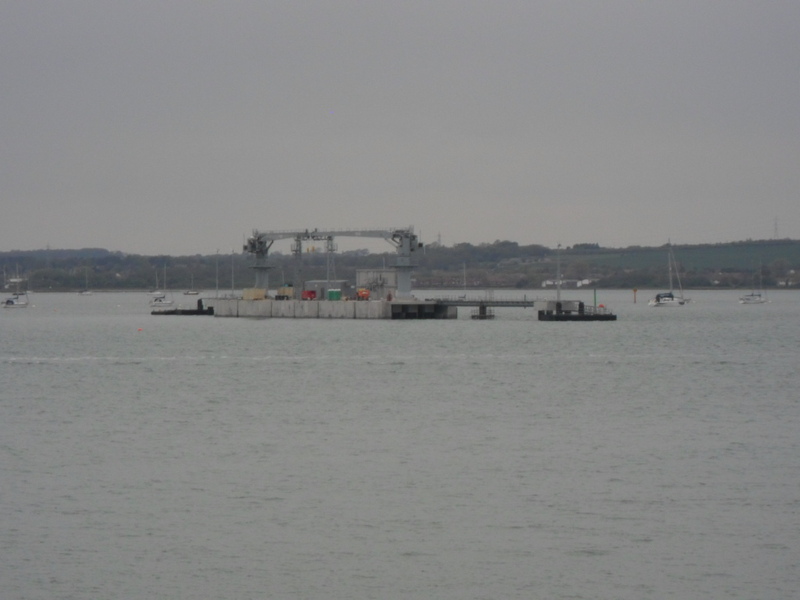 Antelope quickly moved into more sheltered water, and took oboard two Explosive Ordnance Disposal technicians from the Royal Engineers – Warrant Officer Phillips and Staff Sergeant Prescott. Both unexploded bombs were in particularly dangerous situations – one was inacessible due to wreckage, and the other had been damaged. Neither would be easy to defuse. After attempting to remove this bombs fuse three times remotely, the EOD team placed a small explosive charge on the fuse. This charge ignited the bomb, killing Prescott instantly and seriously wounding Phillips. The ship was torn open. With major fires spreading and the water main fractured, Commander Nick Tobin gave the order to abandon ship. Five minutes after Tobin left his ship, the missile magazine ignited, illuminating the night sky in San Carlos, and providing some of the most memorable war footage of the late twentieth century. The abandoned Antelope burned throughout the night and into the next day, her back broken, she slipped beneath the waves the next day on 24 May 2012. As harsh as it sounds, both HMS Ardent and HMS Antelope were ‘sacrificial lambs’ in San Carlos. 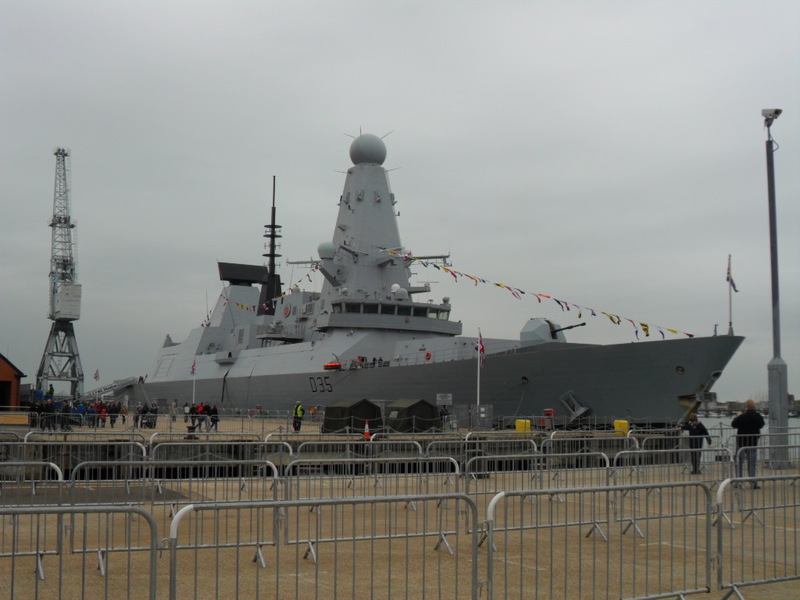 The Royal Navy and the Task Force could probably take the loss of two general purpose frigates – it might have found the loss of one of the landing ships, or even one of the Type 22 Frigates harder to take. 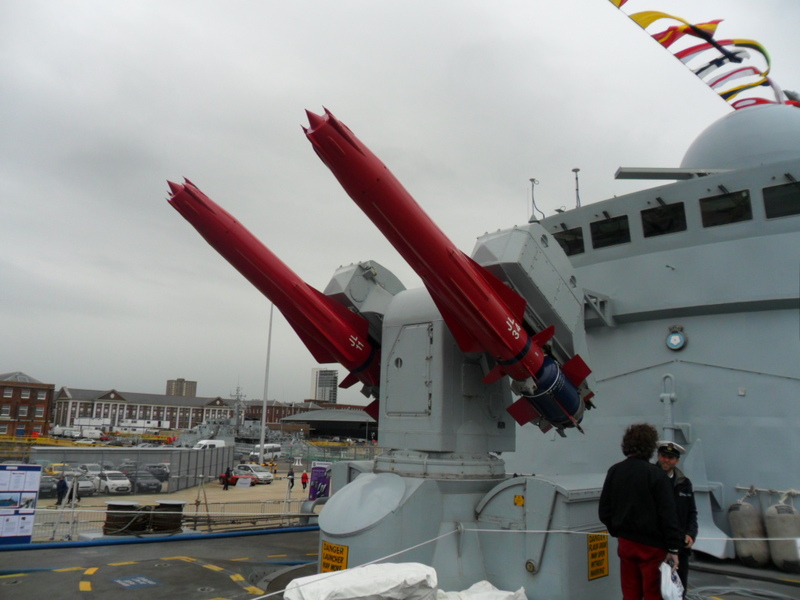 Although the Type 21 Frigates were carrying obsolescent missile systems – such as Sea Cat – and were placed in an exposed role, they performed admirably in a war for which they were not entirely suited. The interesting this is, the MOD always convenes a Board of Inquiry whenever a Royal Navy ship is sunk or badly damaged. And in the case of HMS Antelope, the report of the Board of Inquiry is actually available to read online here, albeit heavily redacted. 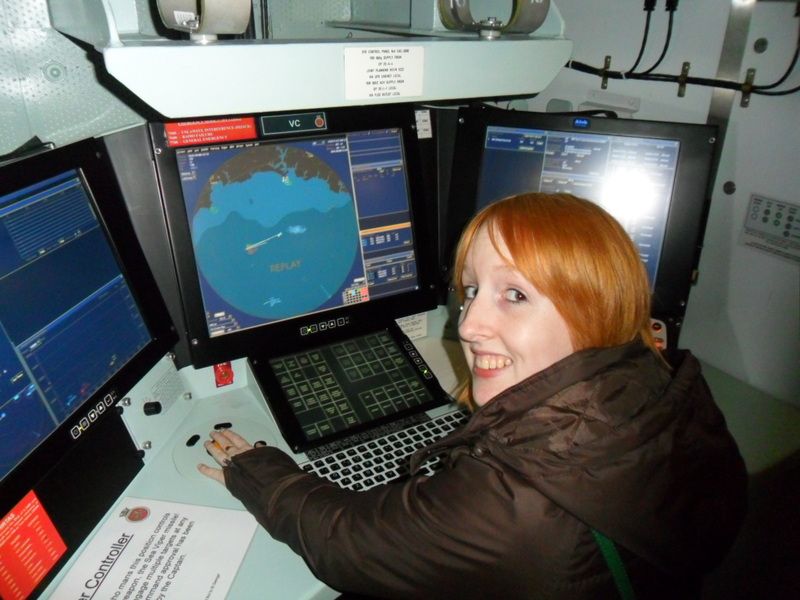 The Board found that HMS Antelope and her crew had only passsed Operational Sea Training the year before with a ‘satisfactory’ pass, and that her training had been truncated – in particular regarding anti-air warfare. For this reason she had not been considered a first choice to deploy to the Falklands, but was sent south due to the gravity of the situation. She was sent into San Carlos straight after arriving in the theatre, and hence it was the first action that any of here crew had experienced. In a sense, Antelope and her crew were completely in the wrong place at the wrong time, and for whatever reason were unprepared for what was facing them, with obsolescent weapons. But then again, any whether prepared or not any Royal Navy warship is liable to find itself in harms way. I think its particularly striking that HMS Antelope was sunk in a very similar manner to ships such as Lieutenant-Commander Bill Hussey’s HMS Lively in 1942 – fighting bravely, but overwhelmed by a swarm of enemy aircraft. In the case of the Falklands War, the British Task Force was attempting to dislodge an uninvited invader. In order to do so, the Argentine sea and air forces had to be worn down to a point at which British amphibious forces could land on the islands, and then defeat the Argentine land forces in battle. Ordinarily, amphibious operations would only be attempted once a number of criteria were achieved. Firstly, air and sea superiority would have to be achieved, in order for friendly air and naval craft to protect the landing ships during their most vulnerable phase. Secondly, western military philosophy in 1982 suggested that offensive operations such as amphibious landings should not be undertaken unless the attacked had at least a numerical superiority of 3:1 over the defender. In May 1982, the British task force had largely forced the Argentine fleet back into port after the sinking of the Belgrano, thus solving one potential headache. And although the task force had given a good account of itself in dealing with air attack – the Sea Harriers in particular proving to be more than a match for Argentine fighters – the British had not worn down enough of the Argentine air inventory to claim air superiority. 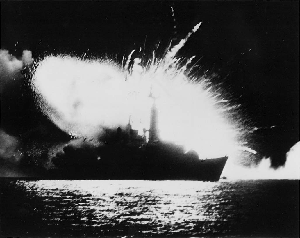 The Falklands were within range of fast jets flying from the Argentine mainland. In addition, the task force only possessed a reinforced Brigade, of three Royal Marine Commandos and two Parachute Battalions. The Argentines on the Falklands, meanwhile, numbered Divisional strength – albeit comprised mostly of conscripts – and had had time to dig in. The task force, however, was under considerable pressure to effect a landing on the Falklands. Any operation aimed at re-taking the Islands would, ultimately, require an amphibious landing. If international opinion turned against Britain and forced a ceasefire, then the proverb ‘possesion is nine tenths of the law’ might come into play. Hence, the politicians in London wanted a landing as soon as possible. Although the main Battlegroup of the task force had steamed into the waters around the Falklands earlier in May, the landing force had taken some time to assemble – in particular, the landing ship HMS Intrepid had been brought out of mothballs in Portsmouth Dockyard, and was the last piece of the jigsaw. As soon as she arrived, the landing could take place. Sandy Woodward was also conscious of the oncoming southern winter, which would add to the wear and tear on the task force – there was a limit to how long the ships could stay at sea fighting, and getting the war over with as soon as possible was a priority. San Carlos, an inlet on the west coast of East Falkland, had been reconnoitred by Special Forces for weeks prior to the landings. It was accessed via the northern entrance of Falkland sound. It was around 60 miles from the capital Port Stanley, and considered ideal for a landing. It had direct access from the South Atlantic, and was in a sheltered water. There were plenty of landing beaches, and hills on the outskirts for the landing forces to dig in to in the event of a counter-attack. And crucially, it was believed that the Argentines were expecting a landing near Port Stanley. Heavily influenced by the American, direct strategy of attack, the Argentine’s expected the Marines and Paras to land on the beach outside of Stanley and leg it up Stanley High Street. But Stanley was heavily defended, and was garrisoned by thousands of Argentines. San Carlos, by contrast, had very few. In a classic example of Liddel-Hart‘s indirect approach, San Carlos was chosen as it would allow the land forces to gain a foothold and build up, before striking east. Interestingly, it was not thought possible for any amphibious landing to succeed at San Carlos – according to to British pre-war plans, the US armed forces or the Argentines. Yet necessity virtually forced the British planners to choose San Carlos by default, after all other possibilities had been discounted. Given that the landings were likely to come under air attack, air-defence was a key consideration. Woodward detached the two Sea Wolf Type 22 Frigates Broadsword and Brilliant, the Sea Dart armed Type 42 Destroyer HMS Coventry, and a force of Frigates and Destroyers to provide naval gunfire support. The landings would be led by the Landing Ships HMS Fearless and HMS Intrepid, with their Landing Craft. Intelligence suggested that there were very few Argentine troops in the area, which would give the British landing forces time to dig in and build up in preparation for an assault on Stanley. Despite this, there was naturally a sense of trepidation among the Marines and Paras preparing to land on D-Day. Would the Argentines subscribe to Rommel’s thoughts on amphibious landings, and attempt to throw the landings back into the sea in the first 24 hours? One intriguing element of the Falklands War is the use of Special Forces during the conflict. In some cases the SAS – and SBS – punched well above their weight. In other cases, they were misused and suffered significant losses. Due to their very nature, much of the story of the special forces in the Falklands is yet to – indeed may never – be told. The SAS in particular was experiencing a high profile in 1982, shortly after the Iranian Embassy. Many of the men in the Regiment in 1982 had served in places such as Aden, Borneo and Northern Ireland. The SAS were among the first units into action, on South Georgia. On 21 April a troop was landed on Fortuna Glacier on the island, but had to be exfiltrated due to the blizzard conditions. Two Wessex Helicopters crashed attempting to lift them out. The third, from HMS Antrim, managed to take off, heavily overladed with SAS men and the crews of the other two crashed helicopters. Although the Argentines had sunk HMS Sheffield with an Super Etendard-launched Exrocet misseile, it was knocwn that tchey possessed at least several more. Whilst EC arms embargos prevented Argentine procuring any ore from France, and secret service agents were outbidding the Argentines on the black market, the attention of military planners turned to neutralising the threat posed by the Etendard/Exocet combination. To lose one Destroyer was bad enough; but to lose an Aircraft Carrier might have meant the end of the war. Operation Mikado was a plan to use the SAS to attack the Argentine’s Super Etendard bases at Tierra Fuego. On 17 May 1982 a Sea King of 846 Naval Air Squadron took off from HMS Invincible, which had steamed to within 500 miles of the Argentine mainland. The Sea King was carrying a recce party of B Squadron SAS, who were heading to scout the Super Etendard airbase at Rio Grande. It would be a one way trip for the Sea King – lacking the range to make it back to the task force, she was stripped down to the bare essentials. Landing west of the Chilean border, the aircraft was ditched in a lake. Even though the aircrew punched holes in her fuselage, she refused to sink. The aircrew were picked up in Chile and flown home.The SAS men believed that they had been spotted by the Chileans, and messaged their HQ in Hereford informing that the mission was being aborted. They had indeed been spotted, and 1,300 Argentine Marines sweeped the area searching for them. This failure meant that the main party would have to go in blind. The fact that the recce party might have been compromised also meant that the Argentines might be suspicious and on alert. The Rio Grande area was believed to be defended by four Battalions of Argentine Marines. Despite this, the Squadron OC ordered the raid to go ahead. The operation had been rehearsed thoroughly for the past week. The Mikado plan seems to have been strongly pushed for by Brigadier Peter de la Billiere, then director of British Special Forces. The plan called for two RAF C130 Hercules to fly from Ascension Island with 55 men of B Squadron SAS onboard. The Hercules would land on the tarmac of the runway, keeping their engines running while the SAS men destroyed the Etendards. If somehow the C130’s survived they men would re-board the aircraft and fly to neutral Chile. If not, then the survivors would have to cross the border on foot. The proposed plan was extremely sensitive, as it extended the war to the South American mainland – something that would not find favour among international opinion. Tying up to Hercules transport aircraft meant that they would at best be interned in Chile for the duration, at worst be destroyed entirely. But perhaps worse than that, 55 expensively trained SAS troops – a significant proportion of Britain’s special forces – were being put in serious danger. Would the loss of these men and two aircraft have represented a good exchange for five Super Etendards? One cannot help but feel that de la Billiere was taking his inspiration from raids on Axis airfields in North Africa. The situation in 1982 was quite different – the Argentines surely expected some kind of attack on their air bases. Perhaps DLB was inspired by Operation Entebbe, an Israeli operation to recover hostages on a hijacked airliner in Uganda. The Ugandan Forces in 1976 posed far less of a threat to the Israelis than the Argentines did to the SAS, both in terms of early warning and anti-air defences. The Argentine radar might give them a six minute warning of the incoming aircraft – ample time to throw up stout defences. The SAS men – a lot more sensible and less bloodthirsty than popularculture would have us believe – do not seem to have liked the plan one bit, seeing it as a suicide mission. One Sergeant went as far as handing in his resignation. One RAF Pilot assigned to the mission is believed to have suffered a nervous breakdown. The Squadron Commander agreed with the concept, but did not like the specifics of the plan that he was being pressured into implementing. The Squadron Commander was removed and replaced with the Regiment’s second in command. According to some accounts, De la Billiere made himself very unpopular in some quarters, as it was felt that he was trying to engineer a high-profile mission for the Regiment. After the war De la Billiere delivered a extremely ill-judged – some might say bad taste laden – speech to the SAS men, near enough accusing them of mutiny. He was laughed out of the room. In hindsight, taking the war to the Argentine mainland in such a manner would have escalated the war, and not reflected well on the British effort to retake the islands. The Argentines were almost certainly on their guard against such an event, and it would be hard to believe that the slow, unarmed Hercules would be sitting ducks for the Argentine air defences. If they guarded Stanley airport with Roland and Tigercat missiles and radar-laid Rheinmetal cannon, what would they be guarding a mainland Super Etendard base with? By contrast with Operation Mikado, the raid on Pebble Island was an outstanding success. Off West Falkland, Pebble Island hosted a small airfield with Pucara light attack aircraft and Mentor reconaissance craft. These aircraft were will within range of the chosen landing site at San Carlos, and could have compromised the amphibious task group on its way to the landings, and then launched attacks on the ships and troops at their most vulnerable point. According to Sandy Woodward’s memoirs, he was pondering the problem with his planning team when a ‘talking tree’ SAS officer chipped in, ‘I wonder if we might be able to help, Admiral?’. After convincing the SAS that they could not spend two weeks planning, the raid was set for the night of 14 and 15 May. Boat Troop of D Squadron carried out prior reconaissance, via cockleshell-style Klepper canoes. On the night HMS Hermes sailed to off the north of West Falkland, accompanied by HMS Glamorgan. Sea King helicopters carried 45 members of D Squadron of the SAS, dropping them off just under four miles from the airfield. The raiding party were heavily armed, including mortars and anti-armour weapons. The party reached the airfield without being spotted, and managed to place explosive charges on all of the aircraft. Once the charges had been placed the SAS men opened fire with small arms, followed by gunfire support from HMS Glamorgan offshore. The party were exfiltrated succesfully, with only one SAS man wounded. According to British sources the Argentine commander was killed – this is denied by the Argentines themselves – and 11 aircraft were destroyed. The raid was considered a complete success, with the objective neutralised and virtually no casualties suffered. A further tragedy befell the SAS the night before the landings at San Carlos. Crossdecking between ships, a Sea King loaded with SAS men apparently struck a seabird in mid-flight. Of the 30 men on the aircraft, only eight got out alive. It was the largest loss of life for the Regiment since the Second World War. Many of the men lost were veterans of South Georgia and Pebble Island. Other SAS patrols were out on the Falklands prior to the landings at San Carlos, carrying out the arguably less glamorous work of surveillance and survey work. Men ofthe SBS were on the landing beaches to guide the amphibious force in on D-Day. That the landings were succesful and unopposed was down very much to their work with the mark one human eyeball. The profile and connections of the SAS do seem to have caused some problems for the force commanders on the ground. When more than one SAS Squadron deploys on an operation the CO accompanies them. In this instance he had direct satellite communication with Hereford and London, and hence was able to communicate with Britain quicker than any of his superiors. And in De la Billiere the SAS had a vociferous supporter who was not afraid to knock down doors in the interests of ‘his’ Regiment. Was Operation Mikado a political construction to aid the Regiment’s profile? The experiences of special forces in the Falklands would suggest that there is much value in having highly trained, very capable special forces on call for unforseen eventualities. When tasked to do a job properly and given the resources to do it, the investment more than pays dividends. But, and this is a big but, they need to be properly used, and employed with care. As with most things military, it is about knowing your tools, and what jobs to use them for.